Well it's summertime which means interns around these parts. 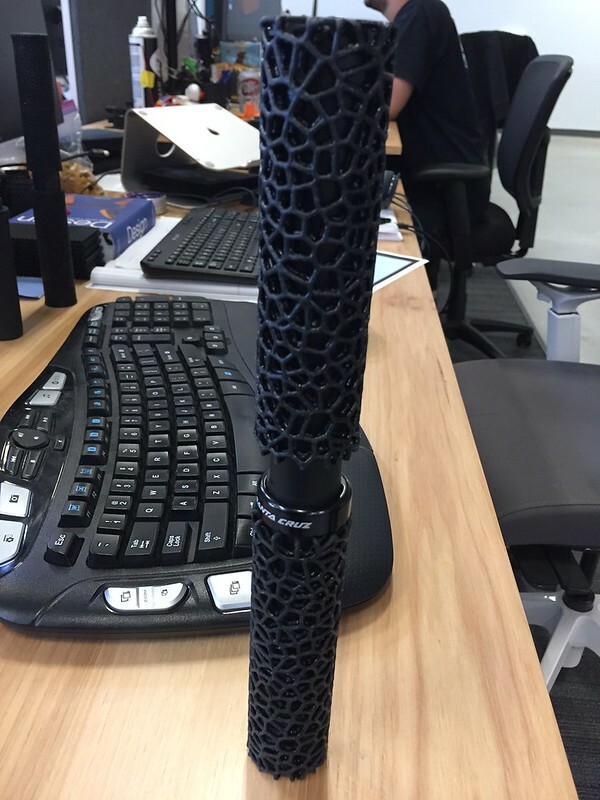 And I was able to convince enough people that we should get some of these interns to design a set of MTB grips. So I figure I'll document their effort here. This could totally bust or end up with some great parts. Or somewhere in between. Feel free to throw any ideas into the mix. So the basics. 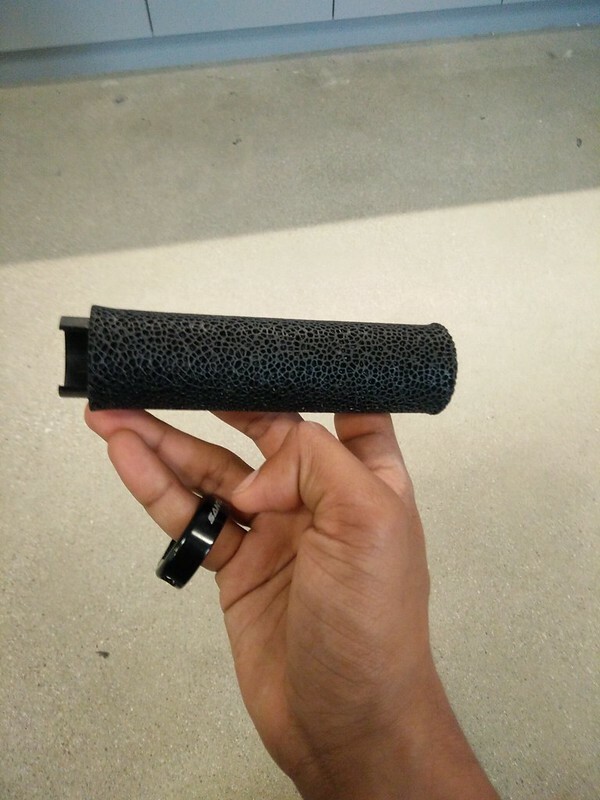 I work for a 3d printing company and I want to make a new grip that has a lattice cushioning structure but still have the normal lock-on ability of current grips. My thought is do the MTB version then perhaps switch over and do one for a road bike. 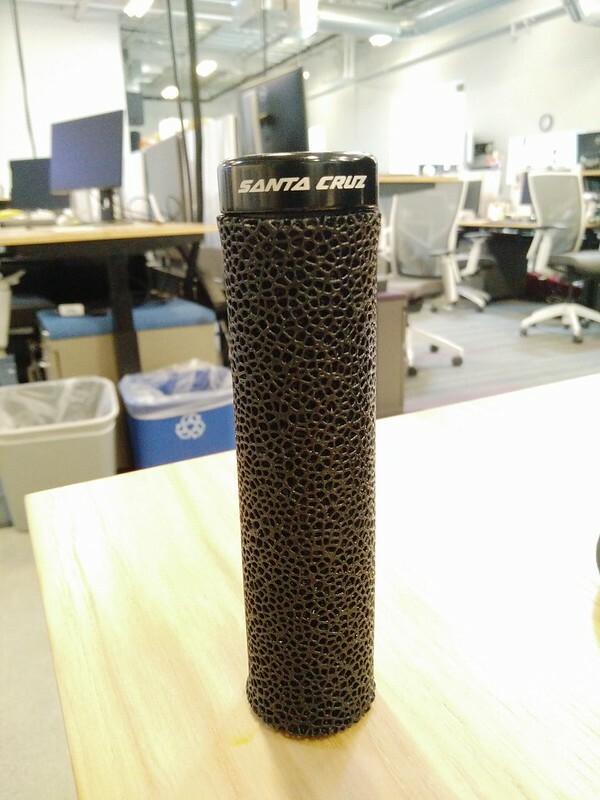 I keep thinking that a DA 9000 hood could use a cool printed lattice elastomer. The pics above are looking down the barrel of the grip. Ill save what the outside will look like for the actual parts. Would be cool to see something for the Da9000. We spend hours putting our hands on the hoods and there is (to my knowledge) no alternative option to the factory ones! C36 wrote: Would be cool to see something for the Da9000. We spend hours putting our hands on the hoods and there is (to my knowledge) no alternative option to the factory ones! Awesome thread! Now if I can only get my interns to do something as meaningful. how much time do you spend on the drawing ?from start to finish, can you do a section and then 'copy and paste' till you have a full circle ? 'Show us your parts box'. interns have been hitting the red bull hard this week...ill add some verbiage about these later but wanted to get the pics up. Those do look sweet! If you make Dura Ace hoods, a slight increase in dampening would be great, but a major increase in the durability would be amazing. I have torn so many just taping bars and such. So we made 3 different styles last week. The first was a larger coral shape which is my current favorite. Its not as cushy as the others but the asthetic is interesting. I could picture this on a cruiser or something that has a lot of other texture features. This one was desiged using some internal software we developed to automate supports. 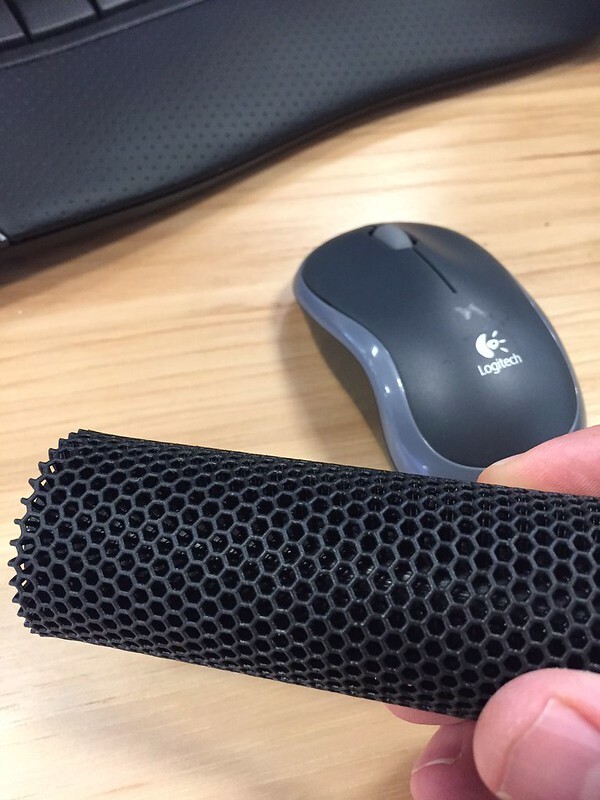 the other two, the honeycomb and the one that looks like an air filter feel great. Good springy-ness to them. Not to sound like a marketing guy but it feels like you have suspension in your hands. The honeycomb was the better performing of the two. These were designed using Rhino. I,m not terribly familar with Rhino but its not a copy/paste or array thing like you would find in Solidworks. 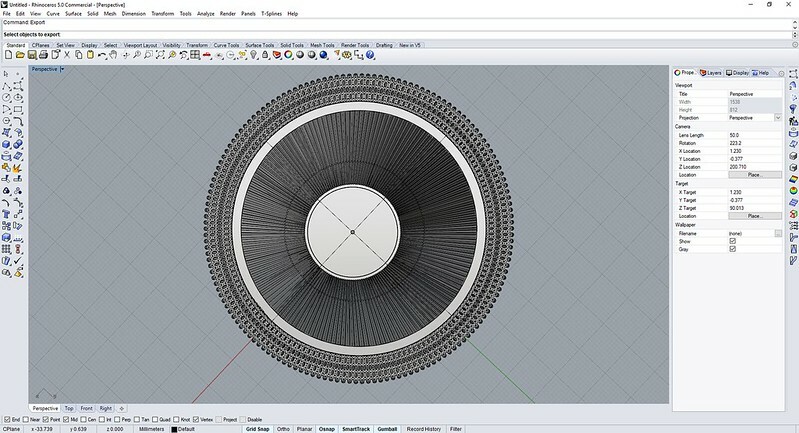 It has an interesting programming interface where you can set up the constraints and it will create the lattice. 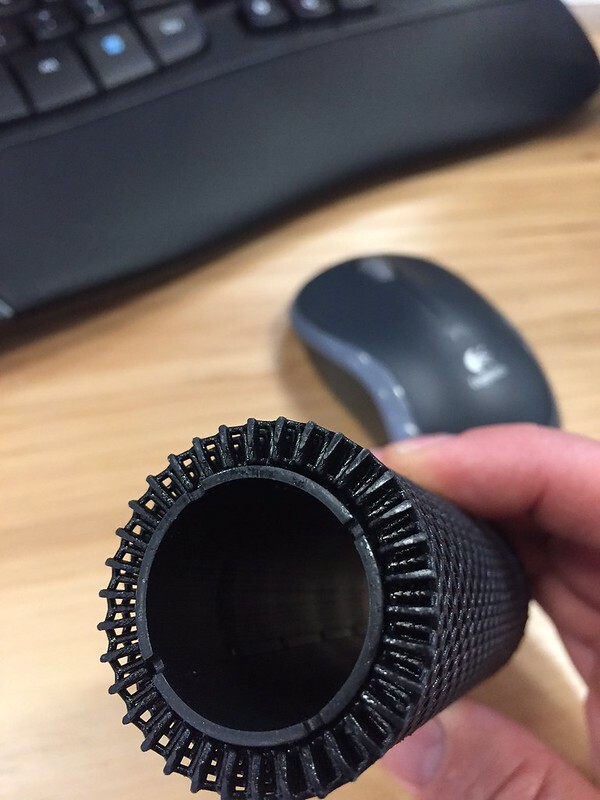 So now that the layered honeycomb is designed its really easy to adjust any of the parameters (thickness,diameter'honeycomb size' etc) to tune the ride quality. 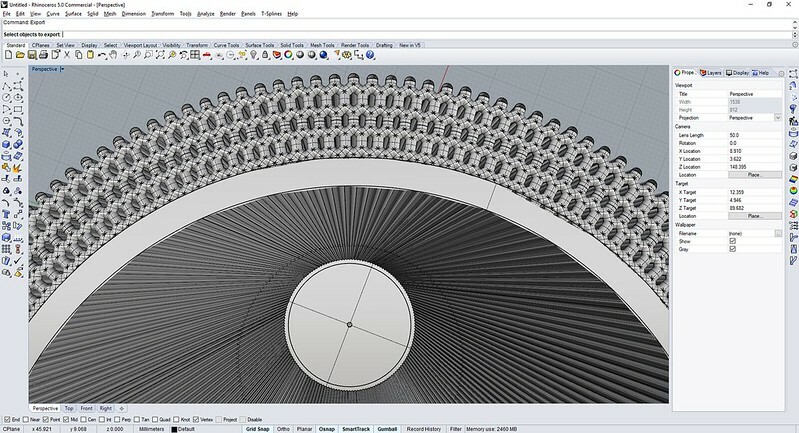 These types of designs are too complicated for modeling programs like Solidworks so most of our cooler print projects are done in Rhino. 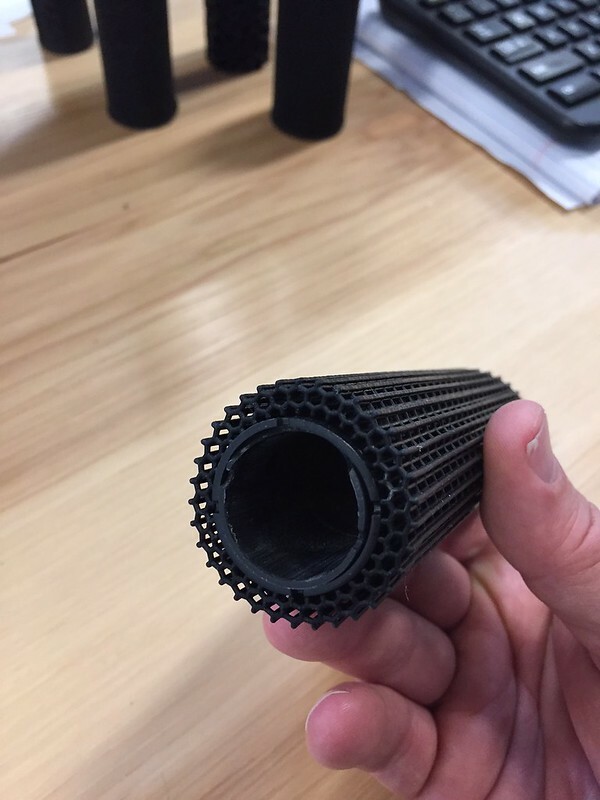 One thing we do a lot of is an engineer will design in Solidworks and we can take all the solid fill sections and replace it with a lattice structure to get a high strength to weight ratio. Design time is about 4 hours each. Material is our elastomeric polyurethane. Its what we call a dual cure resin (UV and heat) so after printing the parts are still green but in the final form. 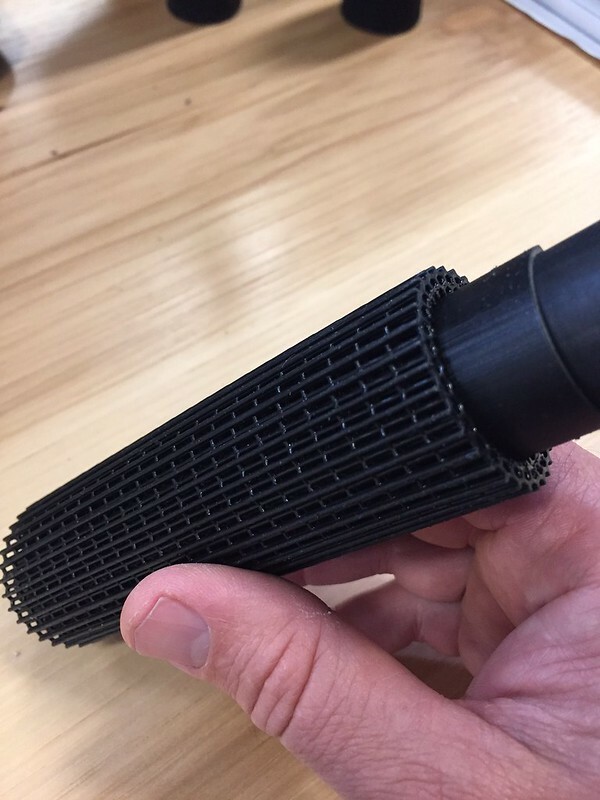 Then we put the part in the oven for 4 hours to finish curing which allows us to get better material properties to all the other 3d printing folks. We have some really amazing surface textures we can do which I think would work well for a brake hood although Im not sure I would get approval to show that. Our elastomeric material has about the same tear strength as the shimano hoods so Im not sure ours would last longer. But I think we can definitely make a passive-suspension shape that improves comfort and gets rid of the hot spots currently on normal hoods.